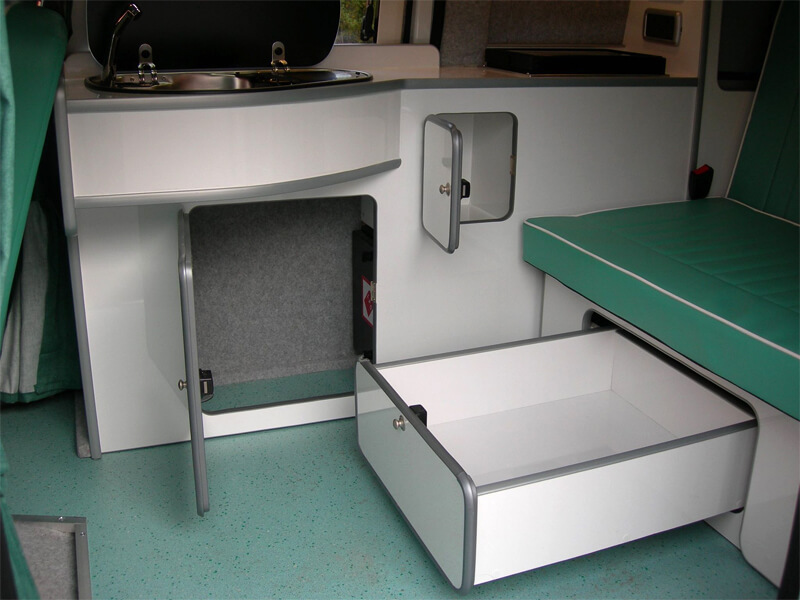 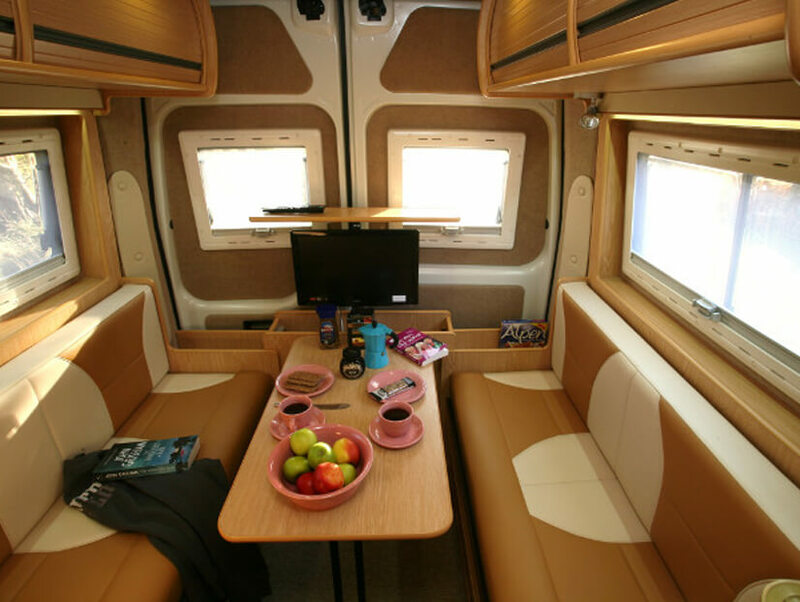 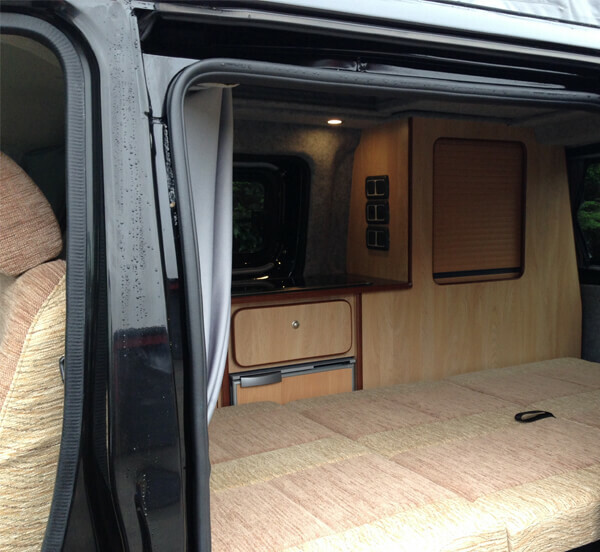 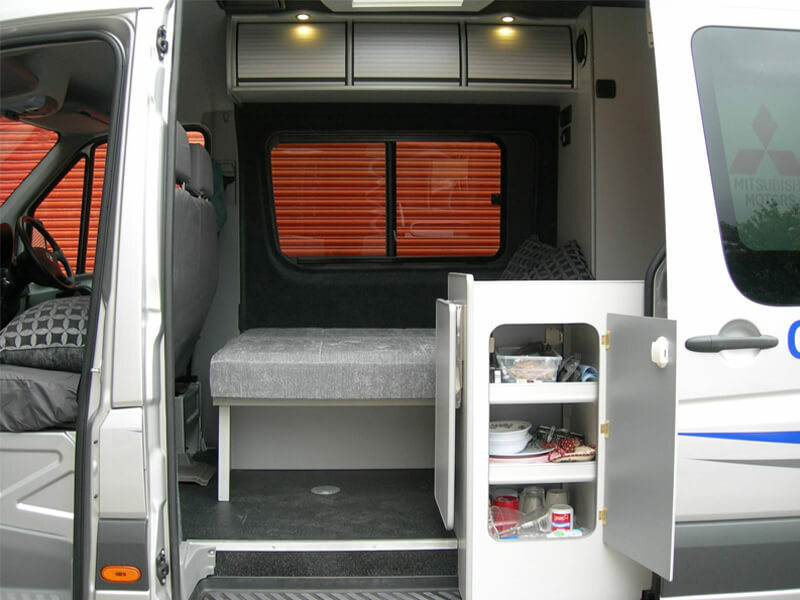 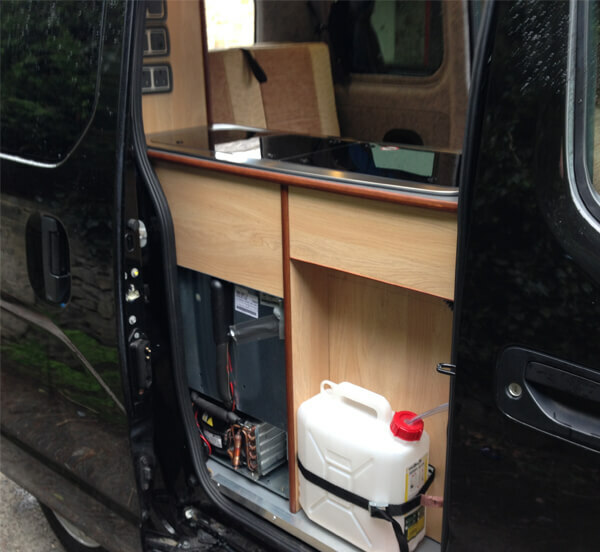 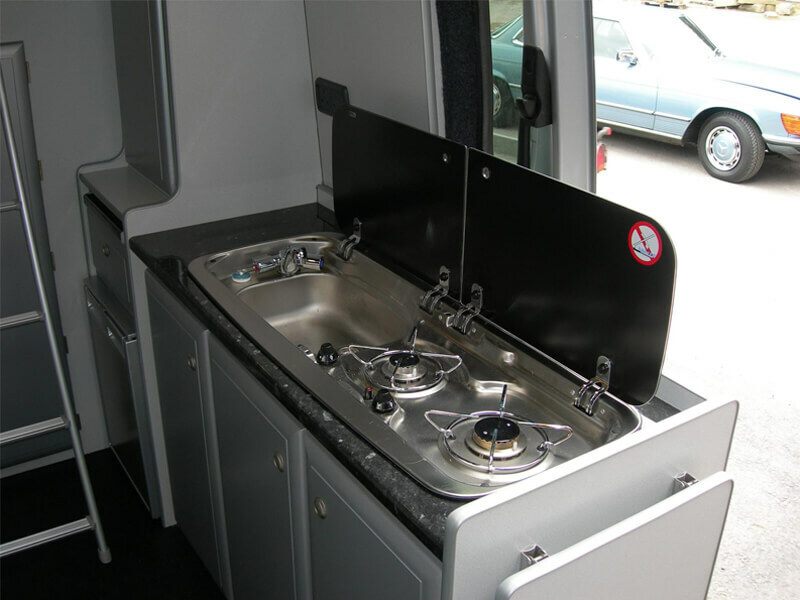 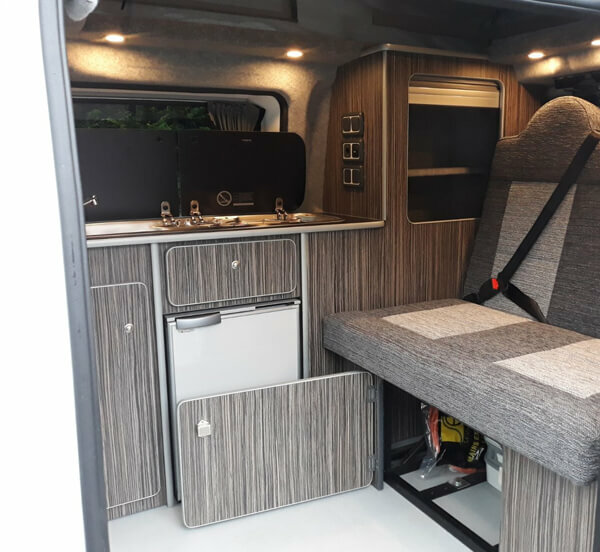 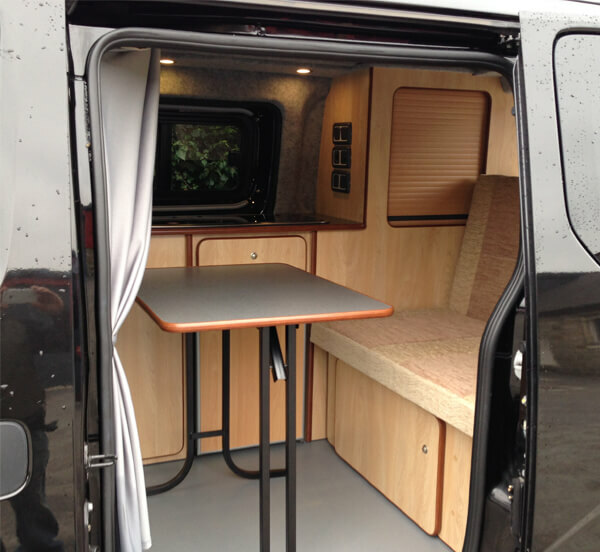 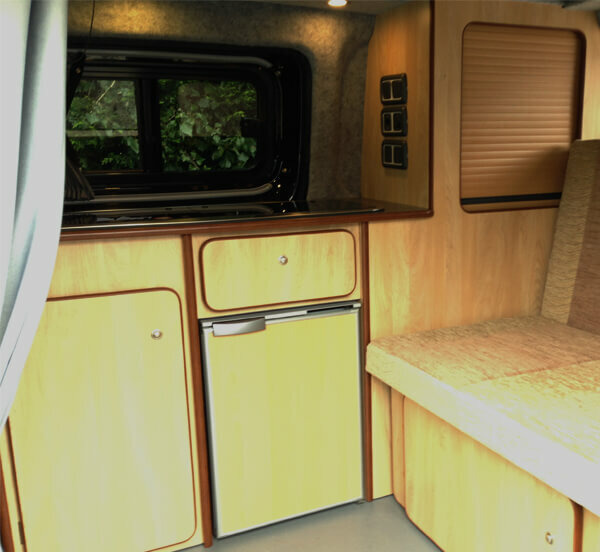 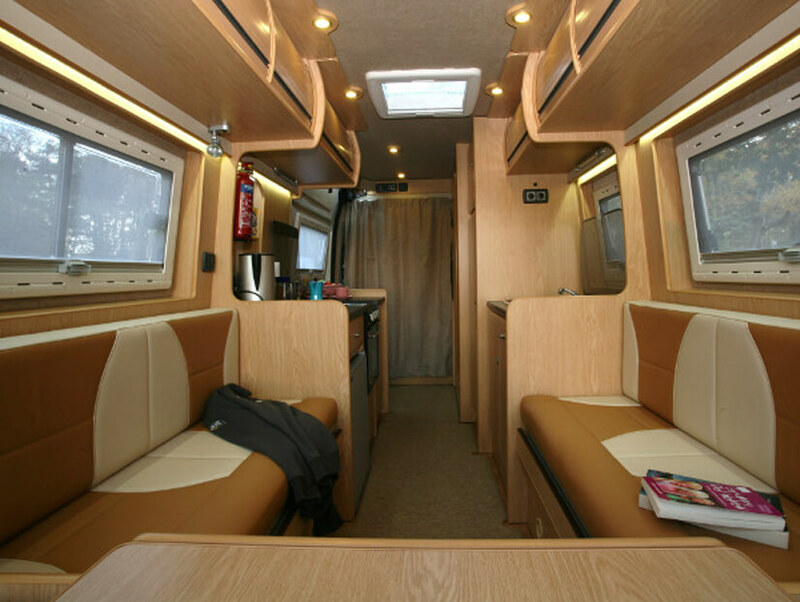 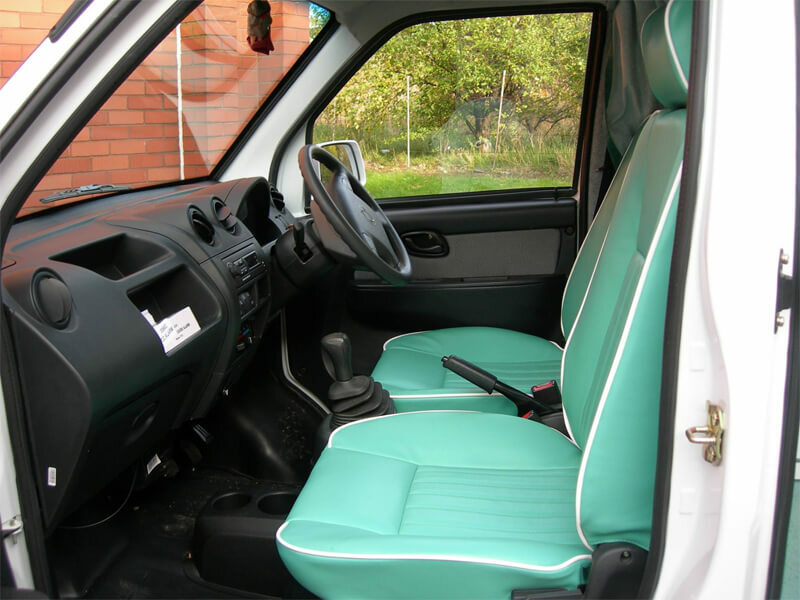 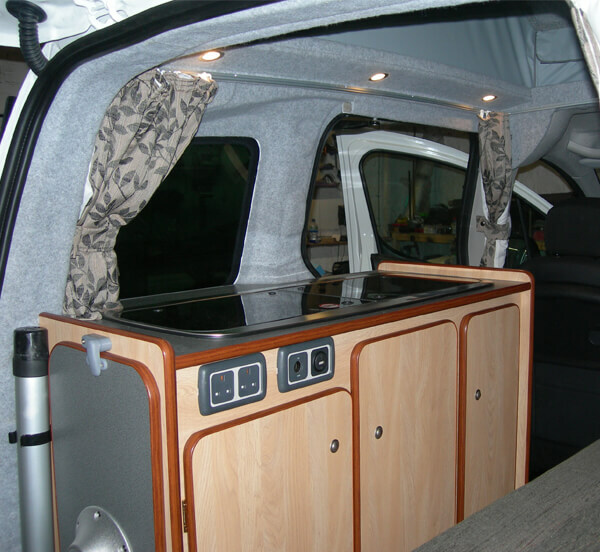 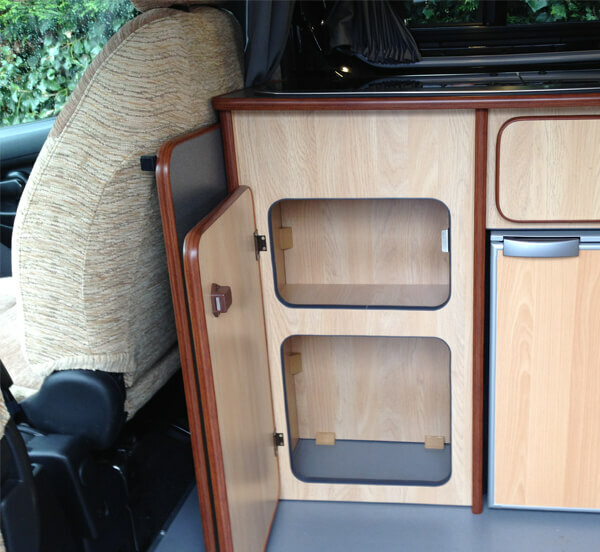 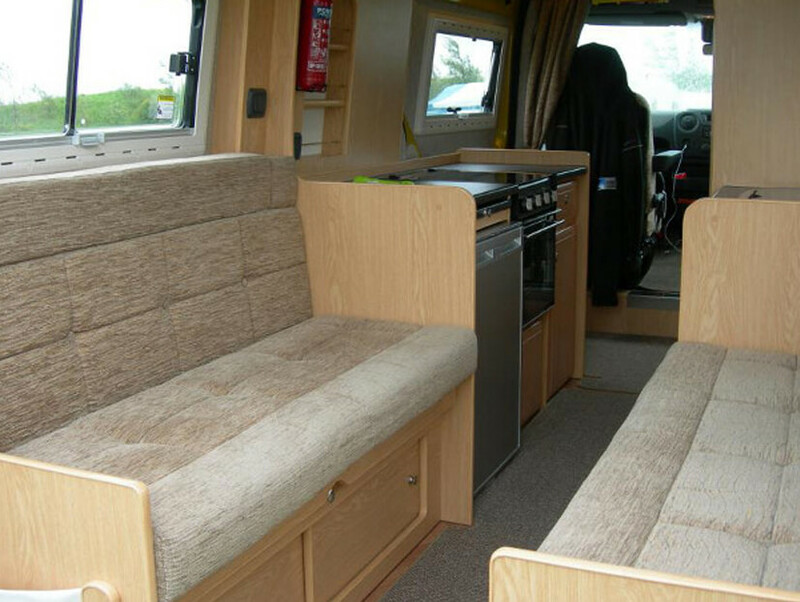 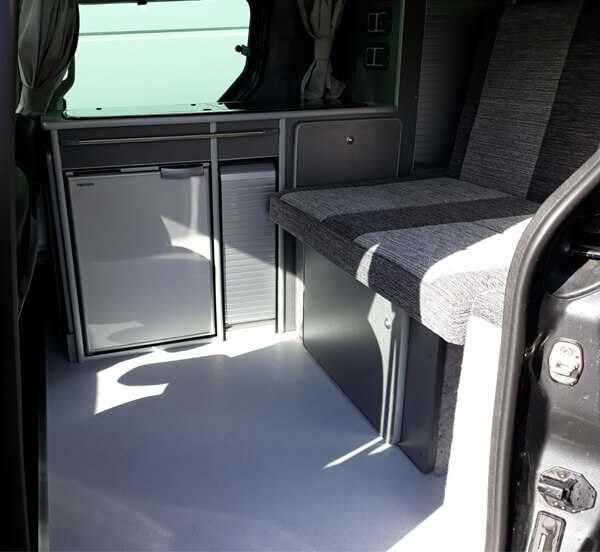 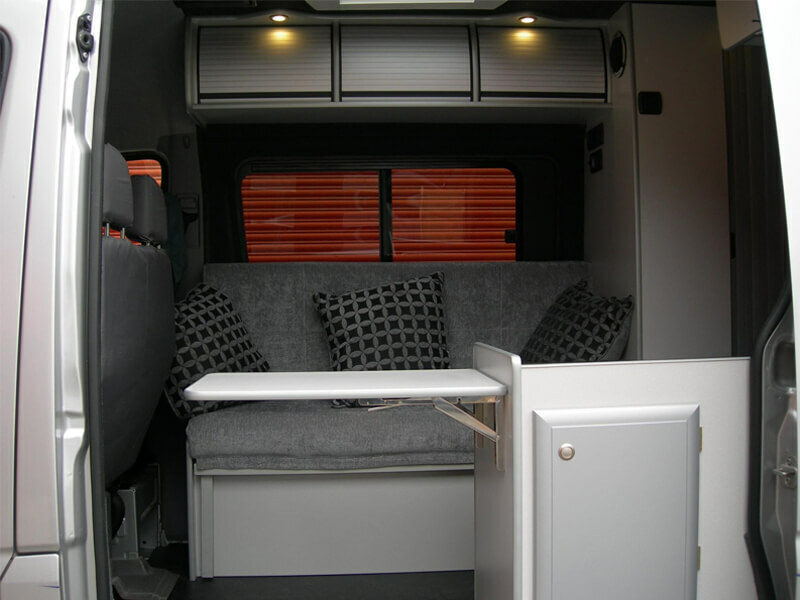 Mandale Motorhomes is a small family run business specialising in bespoke camper van conversions. 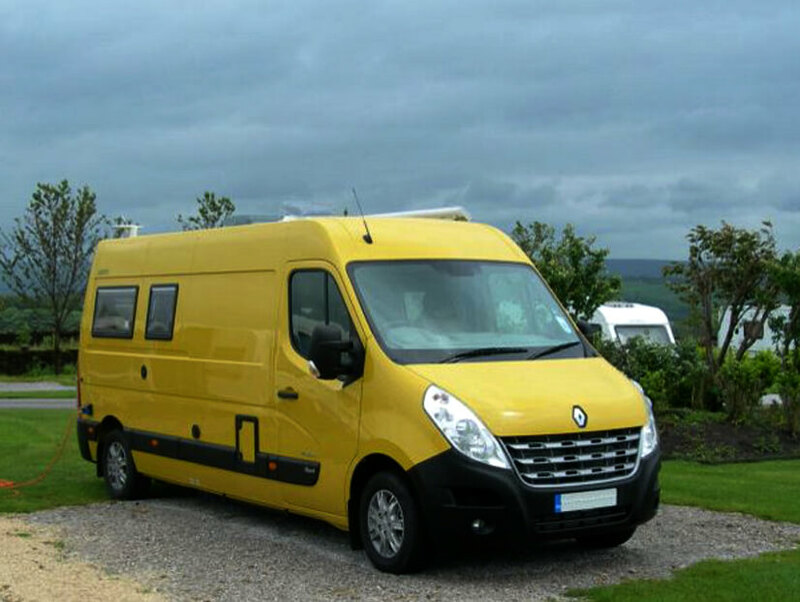 Based in the beautiful Yorkshire Dales near Skipton. 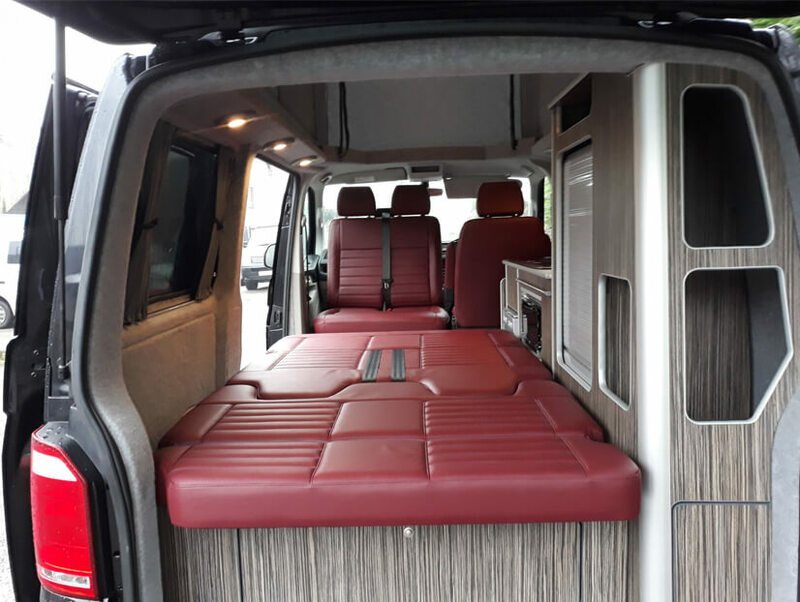 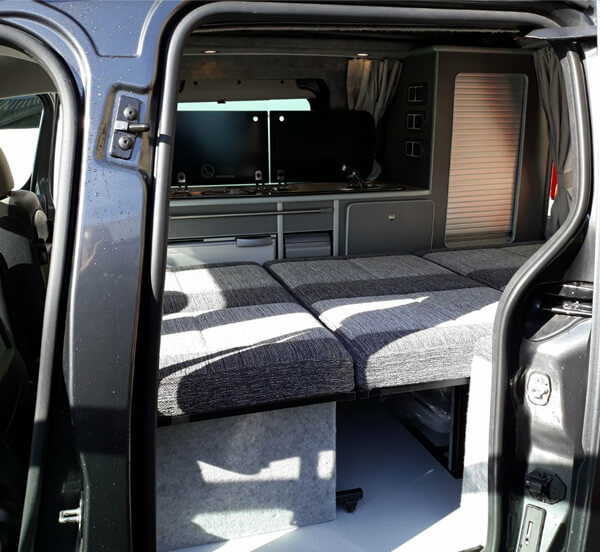 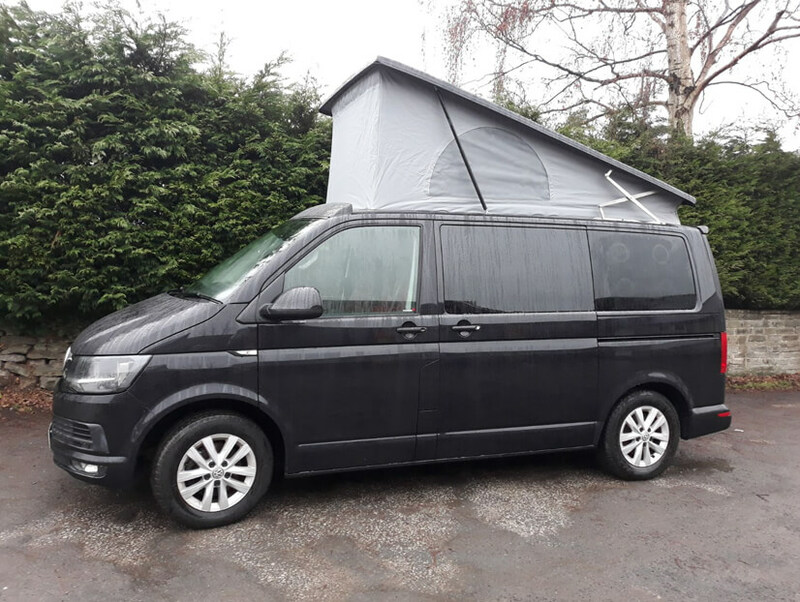 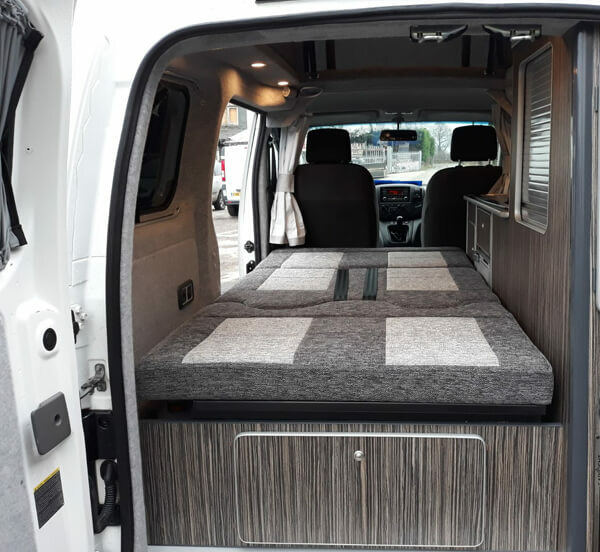 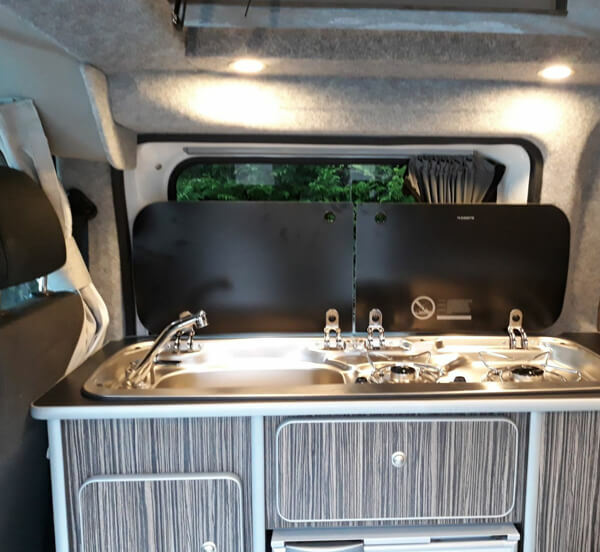 We pride ourselves on excellent customer relations with after sales service being very important to us.At Mandale we build camper conversions on all types of base vehicle from extra long Fiat Ducatos to Citroen Berlingos and anything in between. 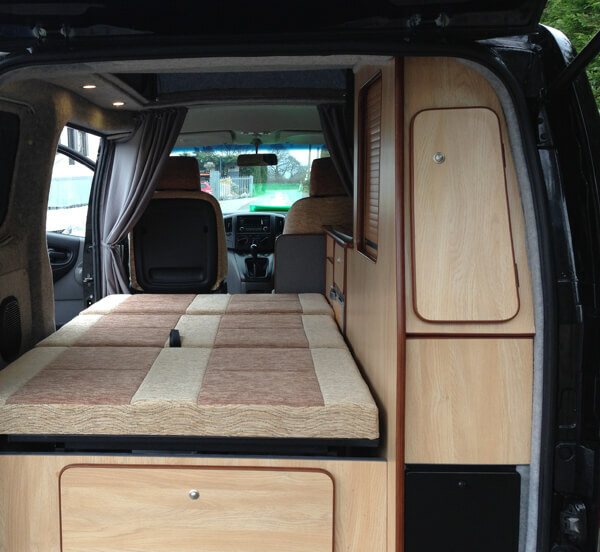 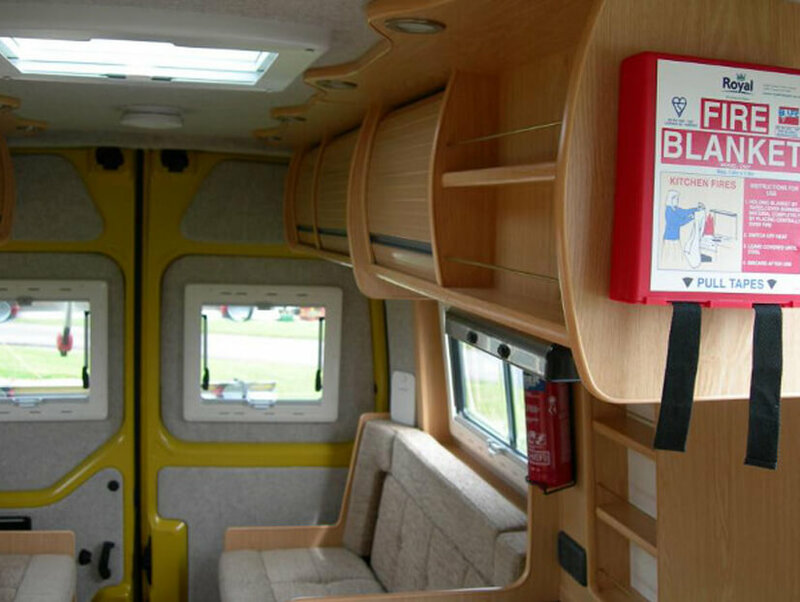 Contact us today to start your Dream Campervan Conversion! 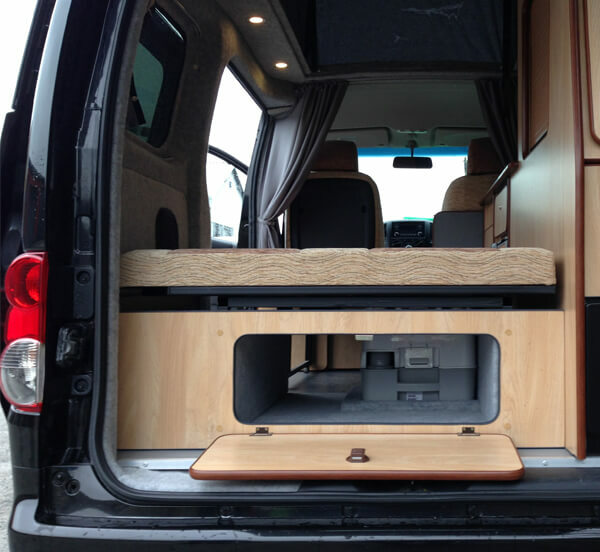 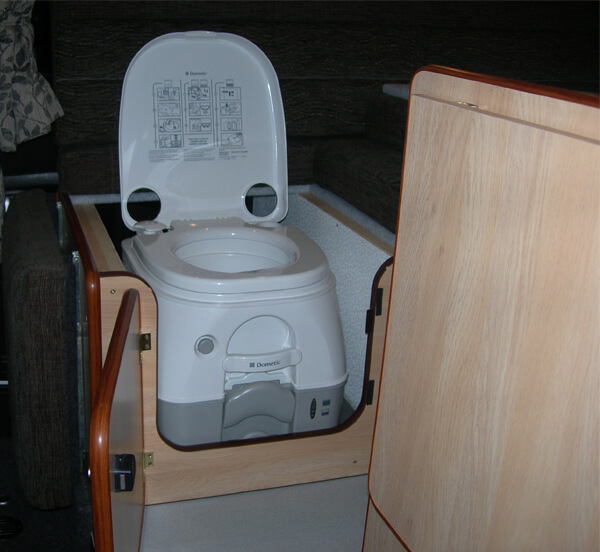 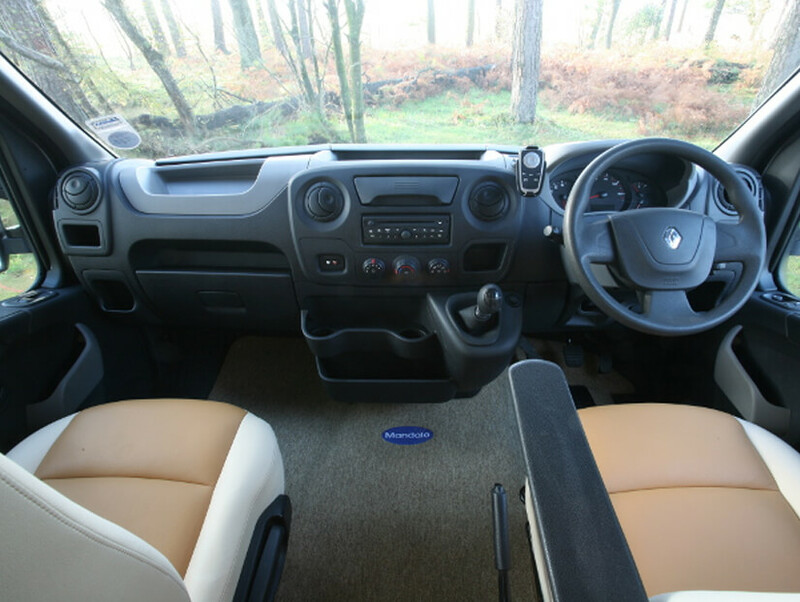 Touring conversions are ideal for a weekend break or tours around Europe. 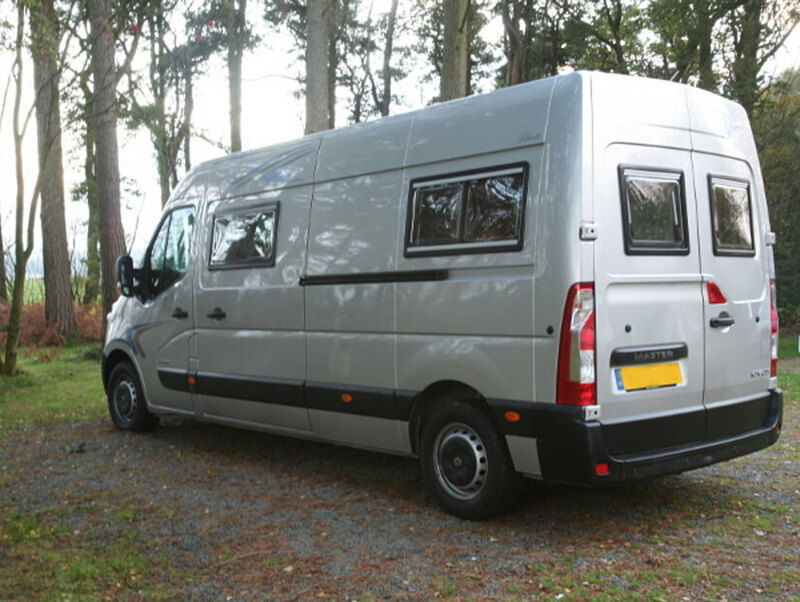 Built on the Renault Master, Fiat Ducato, Citroen Relay, Peugeot Boxer. 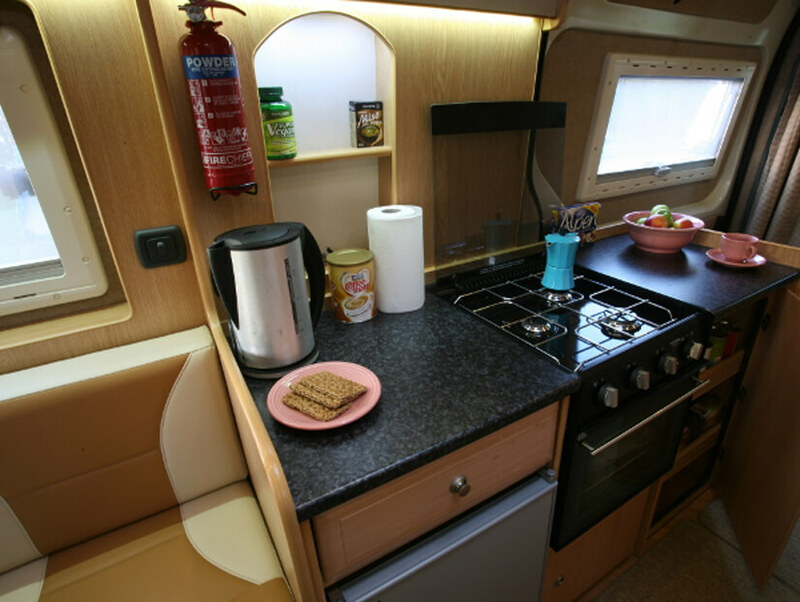 With Truma blown air heating and hot water, large kitchen with plenty of storage with overhead lockers. 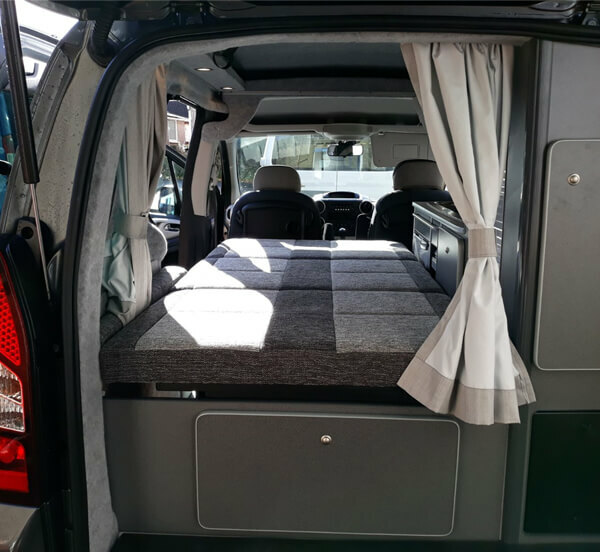 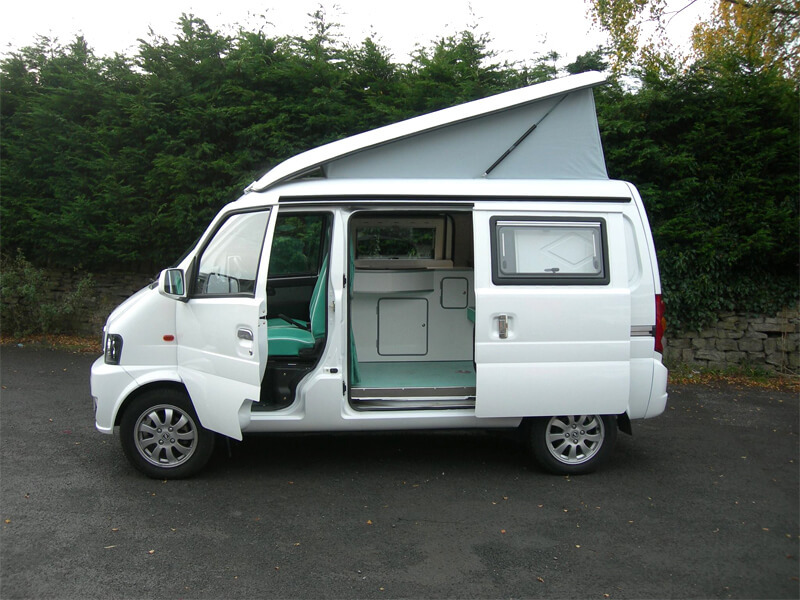 Built on the Volkswagen Transporter or Ford Custom means these campers can be used as an everyday vehicle. 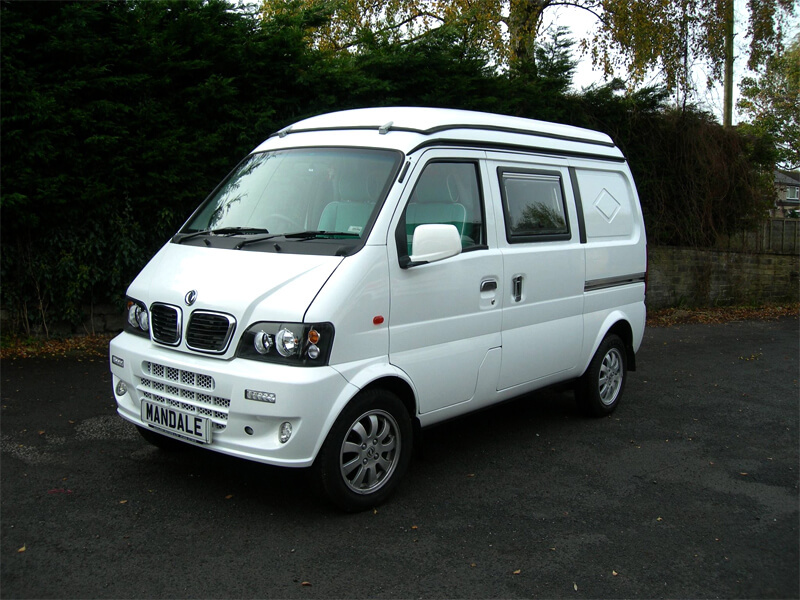 Ideal for navigating those narrow country lanes. 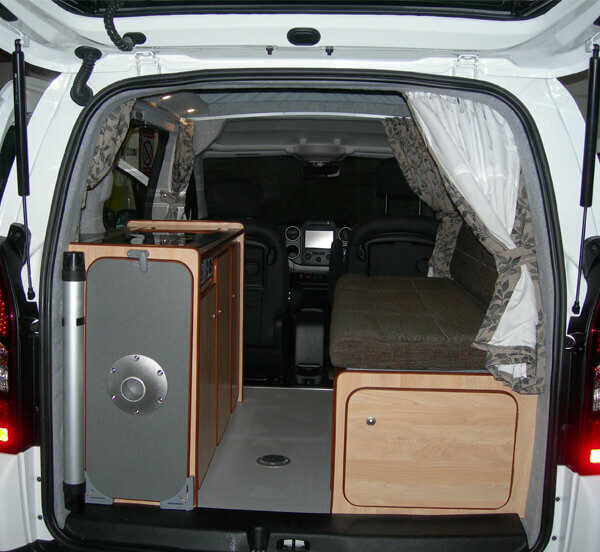 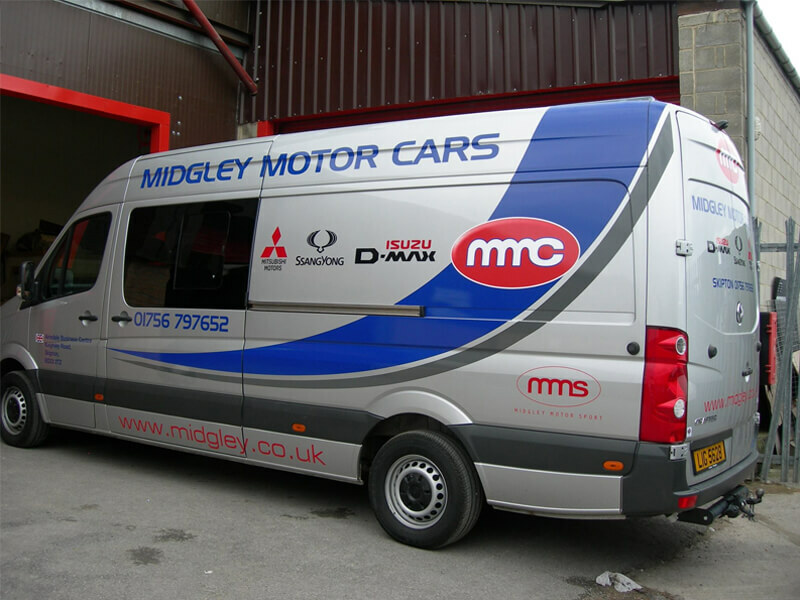 These small camper vans are ideal for everyday use, giving you excellent MPG and low running costs. 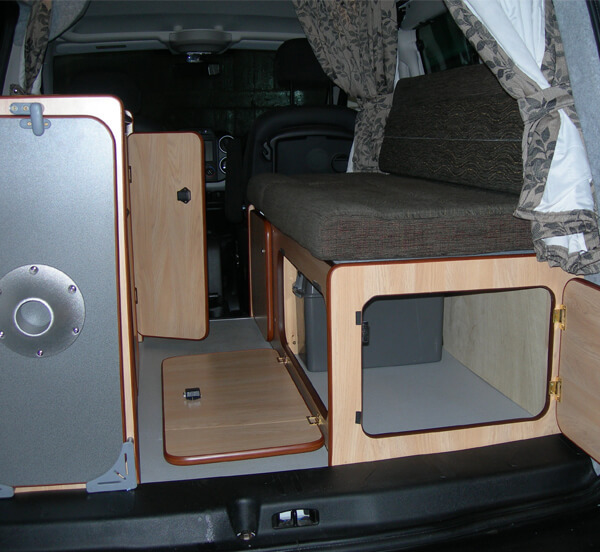 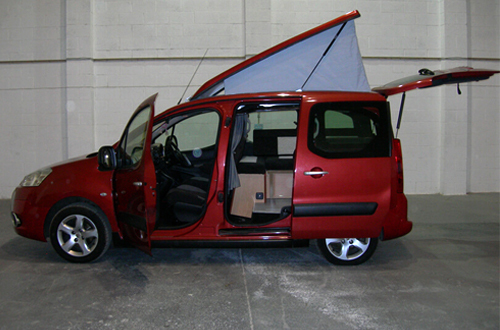 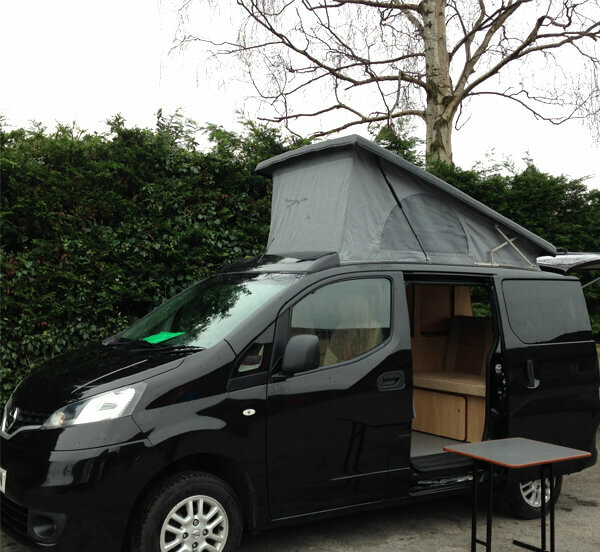 Built on the Nissan NV200 and Citroen Berlingo. 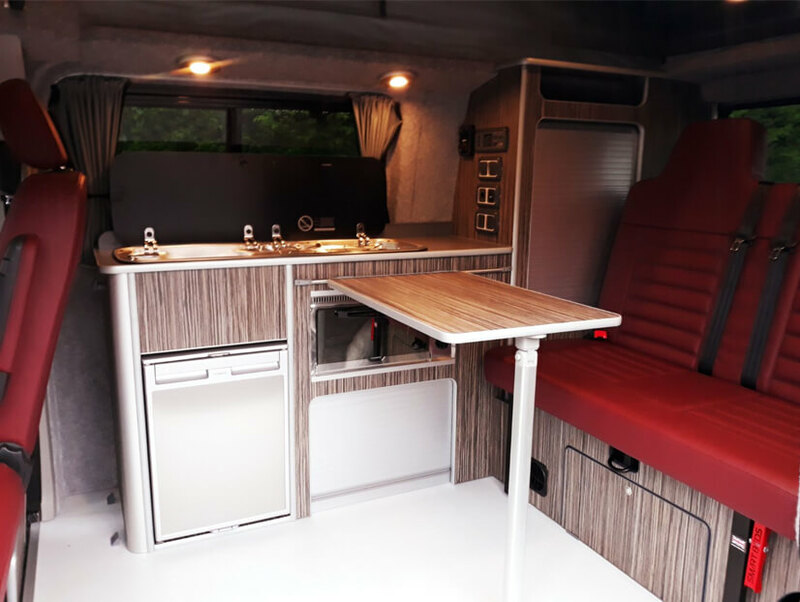 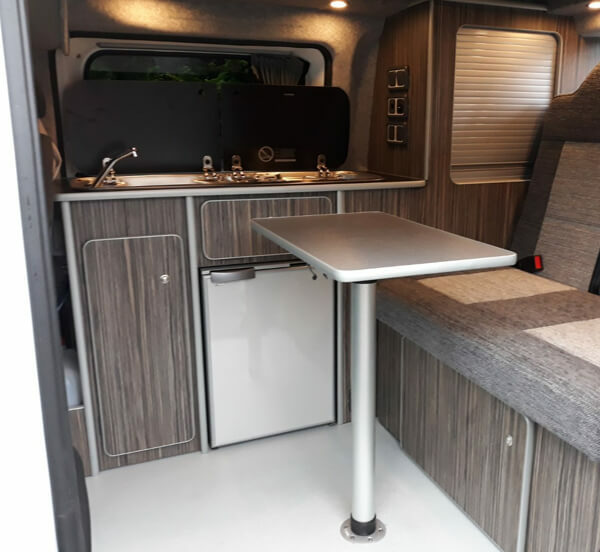 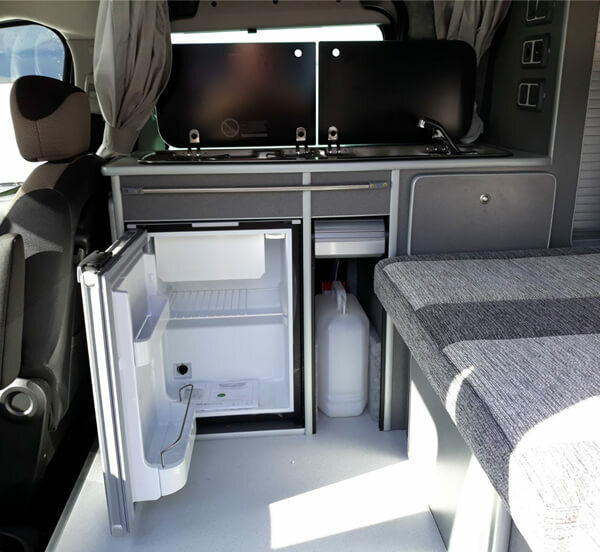 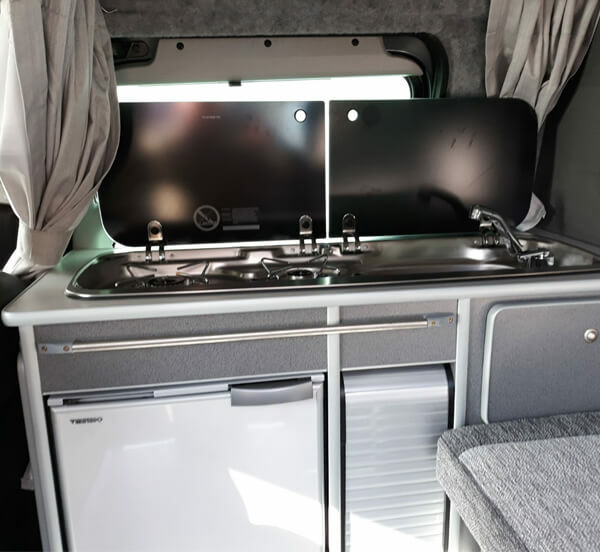 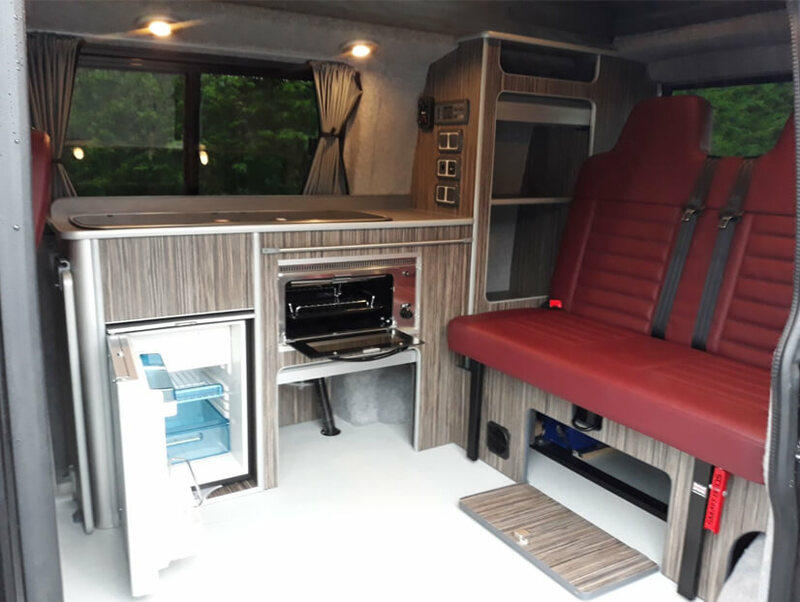 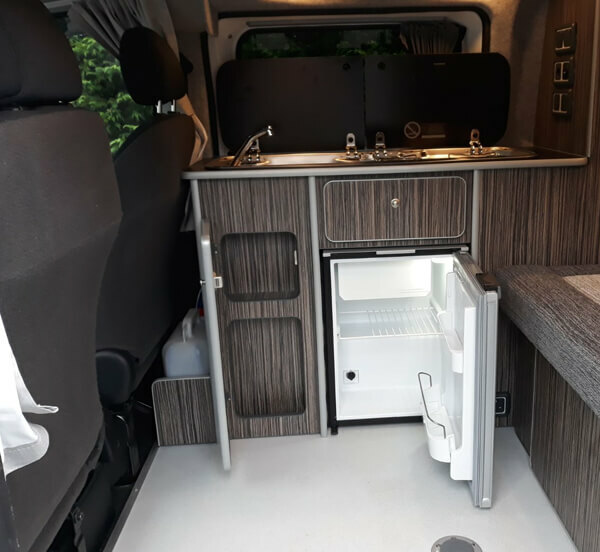 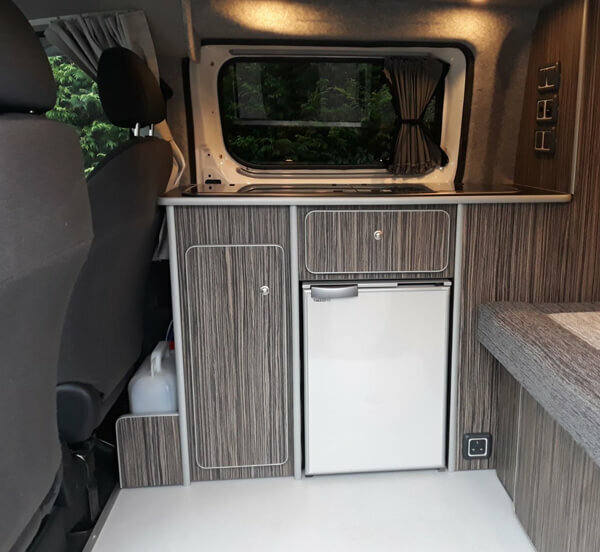 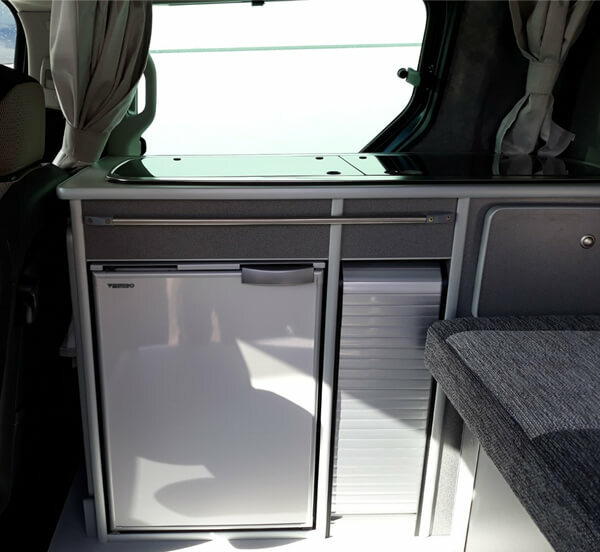 Two traveling seats, Rock&roll bed, 39l Compressor fridge, Two burner hob&sink, Steel gas locker, 10l water container,110 amp leisure battery, Full charging system, Two 240 & 12v sockets, Led lighting, Fully insulated and lined out. 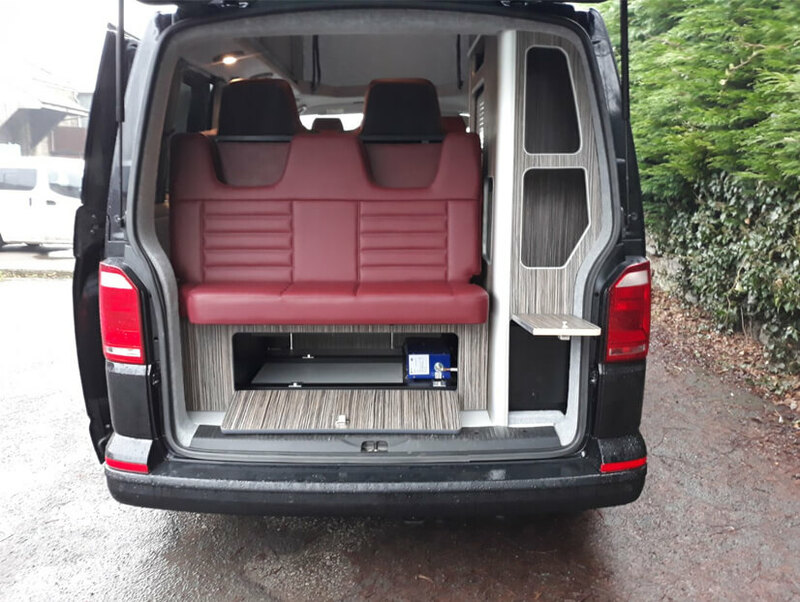 Four travelling seats. 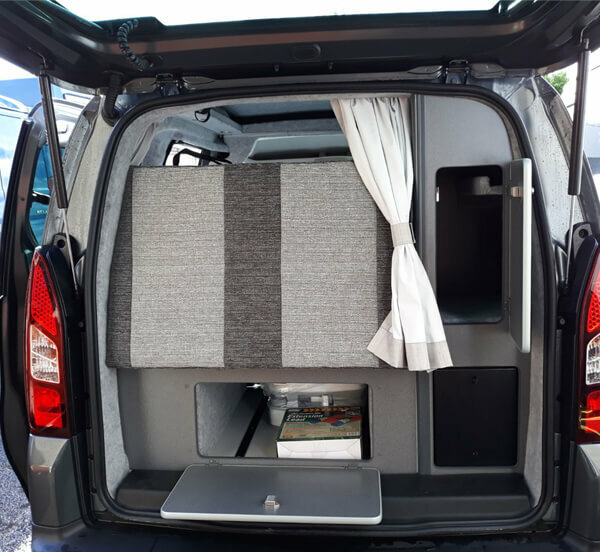 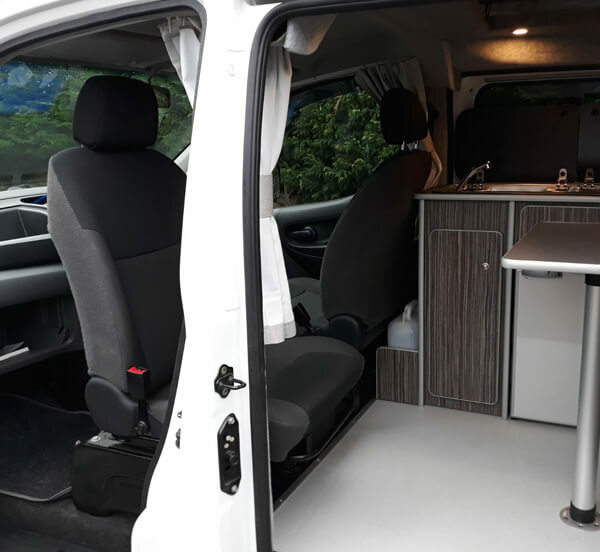 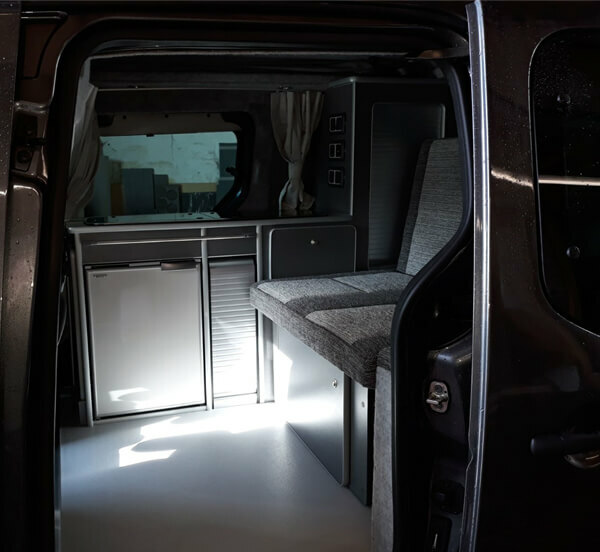 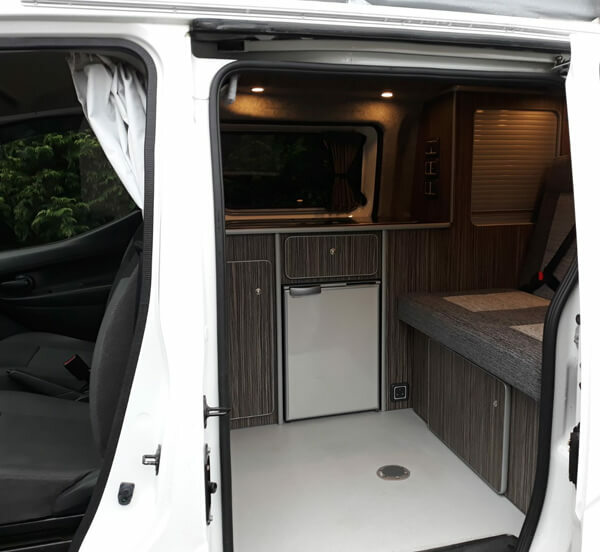 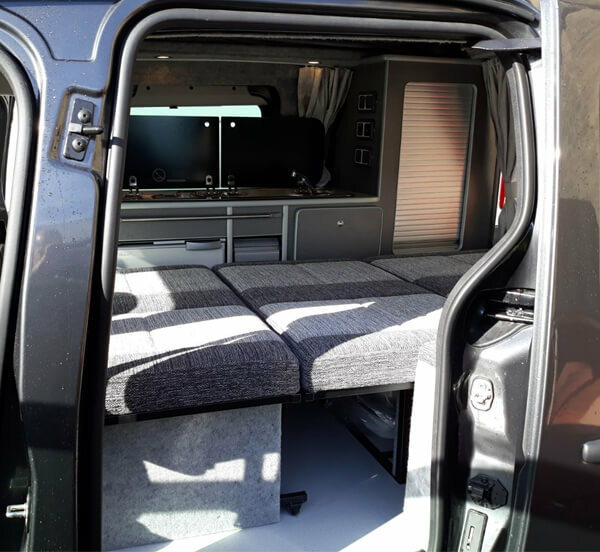 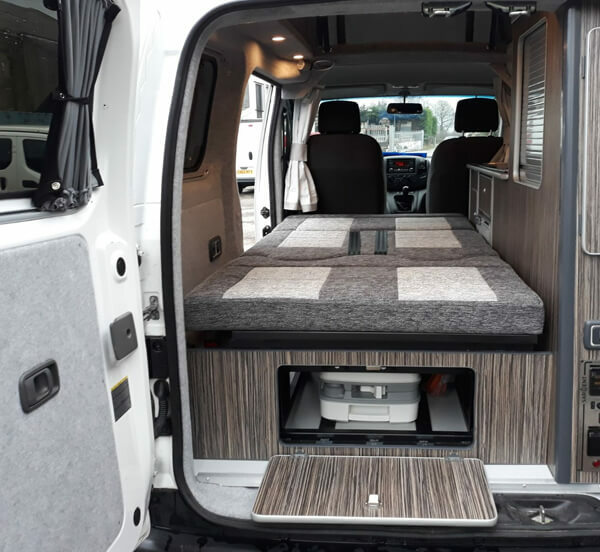 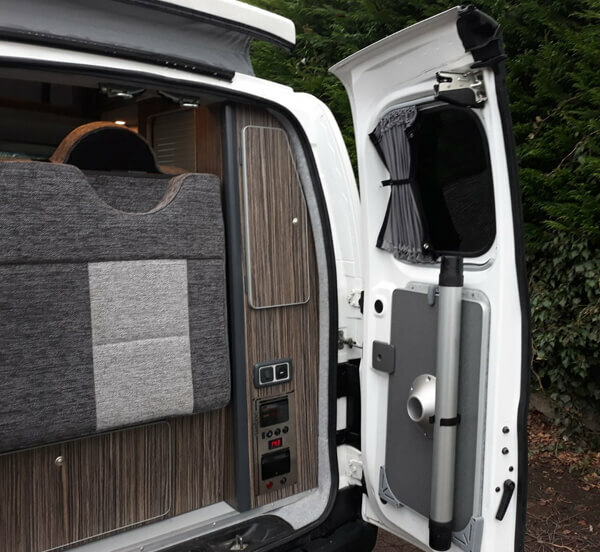 This camper comes with all the build specifications as the NV200-2 but with an added bonus of being able to transport two extra passengers. 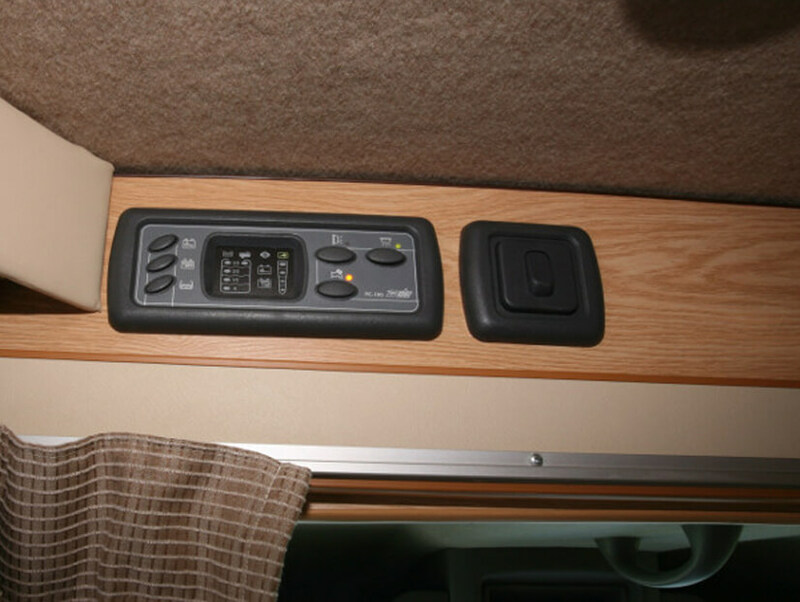 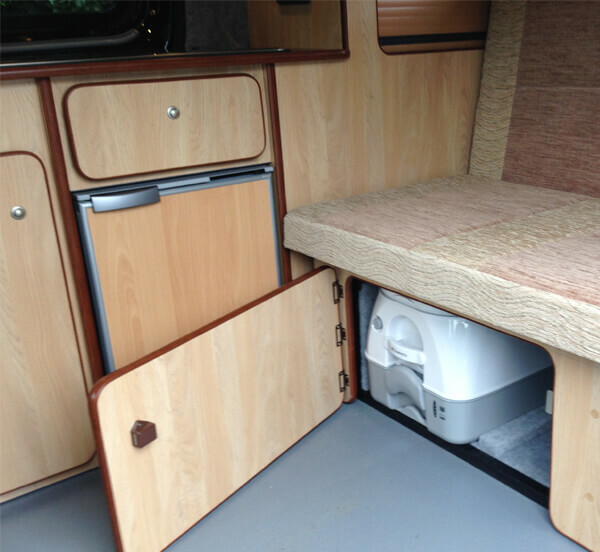 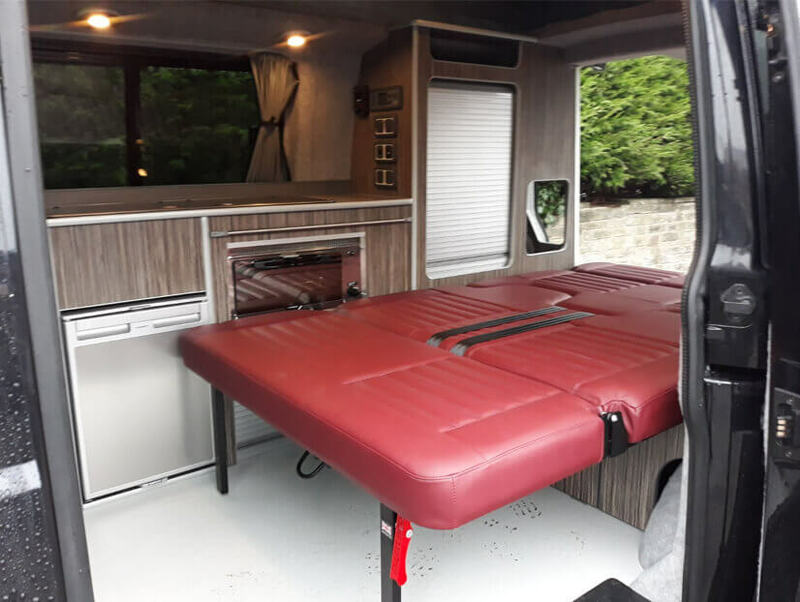 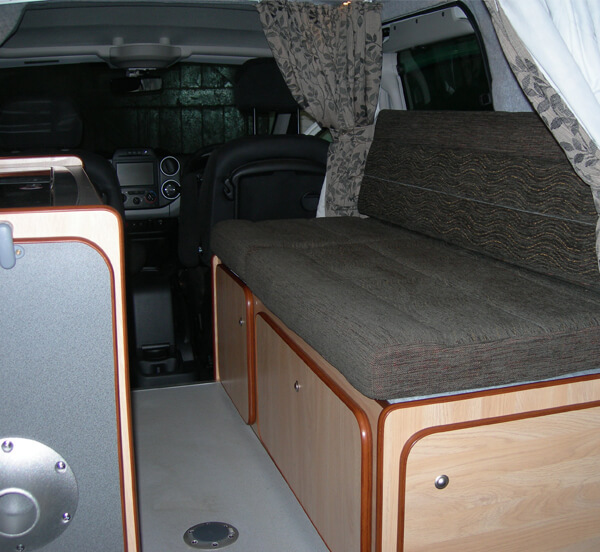 The Rock & roll bed fitted in this conversion is M1 pull tested. 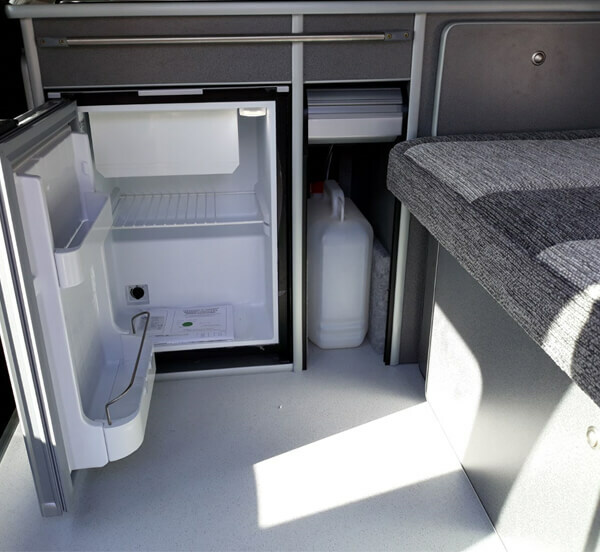 110 amp leisure battery with charging system, Led lights, Two 240v and 12v sockets, Steel gas locker, Fully insulated and lined out. 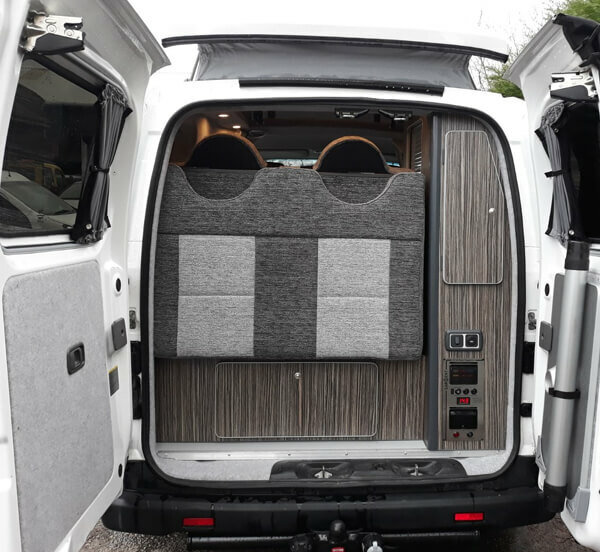 Get in touch to discuss our current stock.